Eileen Feighny's talents are limitless. 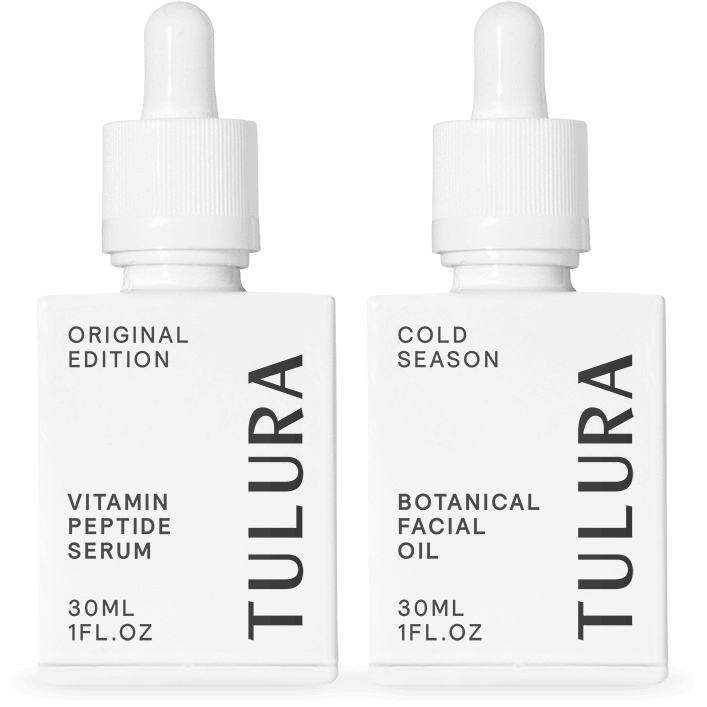 After modeling most of her life, she studied to become an esthetician and aromatherapist and launched her own natural skincare brand called Tulura (whose name is inspired by the song "Come on Eileen"!!). I was introduced to her by a friend in 2016 and have since become addicted to her epic facials (go now!) and swear by her Tulura Duo. Her gorgeous studio is like an urban rainforest, and to top it all off, she's one of the most radiant, caring and thoughtful people on the planet. I'm always enchanted by her jewelry. Much like the two elements of her Duo skincare set, Eileen's approach to jewelry has two sides as well. She tells us about it below. You're the force behind Tulura, whose facials and skincare I can attest are indeed as "supernatural and extraordinary" as its hashtag implies. Your jewelry style has a similar magical yet minimal feel. How would you describe your jewelry aesthetic and how does this complement your overall style? My daily jewelry selection when I’m working is super minimal - only my rings and maybe a pair of earrings. For special moments, I love wearing larger pieces that are a bit more impactful and have a story. I like to think I have a very whimsical and dreamy style, but in reality, it’s very simple, minimal, and doesn't get in the way. "Stacking rings are super easy to wear and I have so many that I give to friends all the time." 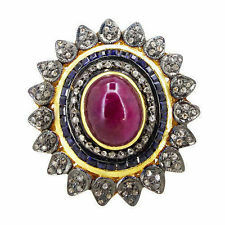 What catches your eye and what draws you in to the jewelry pieces you own and/or aspire to own? I love vintage jewelry. The craftsmanship is incredible and I appreciate the intricate details you don't find these days. I adore the fantasy feeling that jewelry gives you. It’s like playing dress up! "One of the many vintage costume pieces my mom saved from her agency days in Seoul." Do you have any specific jewelry muses who inspire your style? My mother and aunts. My dear friend Gabby Mejia, founder of @abroadeverywhere, has a beautiful collection of jewelry from all over the world. Her passport is something you will envy! "Sookdesign.com, my dear friend/sister/mentor Sylvia Kwon’s minimal and easy to wear every day bracelet." Tell me more about your mother and the stories behind the pieces you have from her. My mom used to run an agency in Seoul and did a lot of production work. In the 70s and 80s there was a lack of stylists in Seoul so she would lug around a fishing tackle box filled with costume jewelry. She saved it all for me so I have a lot of larger costume pieces that I absolutely adore and cherish. "Vintage Chanel earrings from Fred on my 30th birthday." What defines the pieces you wear everyday vs. the statement occasion pieces you have? For every day, my jewelry can't get in the way while I’m working, and must be high quality as I’m using my hands a lot with different ingredients. For events, I love statement pieces with a story. Most of my statement jewelry are from my mom and various vintage stores from my travels. Recently I’ve gotten some pieces from Bauble Bar- I love the quality of their pieces and the vintage feel they have! Rings, earrings, necklaces or bracelets, which are your favorite and why? I love earrings. It’s something people instantly notice and can dress up any outfit. For every day, my stacking rings are my go-to. "One of my most treasured earrings, found at a thrift store in New Mexico while road tripping from SF to NY. Do you gravitate to silver or gold and why? I grew up wearing a ton of silver, but wear much more gold now. I have a lot of pink undertones in my skin and golds look better with my skin tone. Although, there are no rules for me - I love mixing it up. "Earrings from thebealine.com, I found her on Etsy!" Your engagement ring is striking! Tell us about it. Fred and I got engaged in Tulum and later designed the ring together, the oval shape is perfect for my long fingers. I love that the band is just barely there. Its elegant and classic. Are there any stores in New York where you shop for jewelry? I’m a sucker for Etsy and Ebay, you can find vintage gems and discover smaller, lesser known designers from all over the world.